Police now believe there was more than one person involved in these incidents and have released a number of images of men they’d like to speak to. The incidents happened at the Apollo Hotel Popley on March 5, the Holiday Inn Southampton on February 12, the Jury’s Inn Southampton, on February 13 and the Solent Hotel in Whiteley on December 14 and 17. Hotel meeting rooms were entered and purses and wallets were taken from bags. The stolen bank cards were then used at ATMs and in stores to steal thousands of pounds. 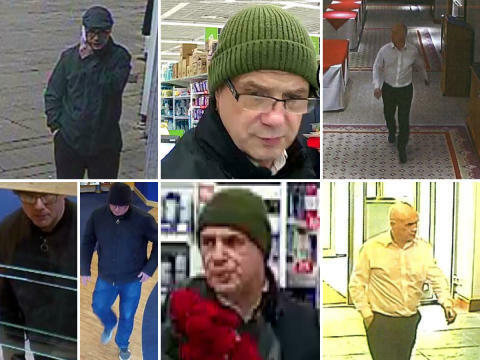 If you recognise any of these men, please call us on 101 quoting 44190078277, or Crimestoppers anonymously on 0800 555. If you have any information, please contact us on 101, quoting reference number 44190078277.